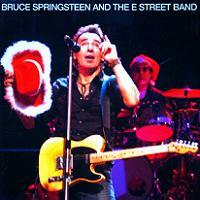 For Springsteen collectors, this is a really nice early holiday surprise. 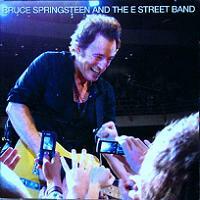 "Born Again" captures The Boss & E Street Band performing the entire Born To Run LP from start to finish, in absolutely perfect stereo soundboard quality. This disc plays like an official live album and the performance from The Palace in Auburn Hills, Michigan is rock solid. 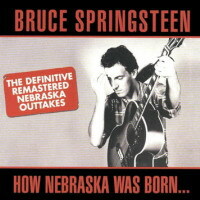 As the tape starts, it sounds like Bruce may have had a miscue of some sort coming out of the previous song ("Working On A Dream") as he exclaims "that is a singer's biggest nightmare", laughing off whatever it was, prior to his intro to the Born To Run presentation. From this point on it's very simply, spot on. The band fully focused on providing the right tone and approach to the epic LP, including a nice trumpet solo during "Meeting Across The River". Did I mention the recording here is perfect? Seriously a nice mix and a real prize of a tape.Thanks Lincoln Park Mark for negotiating it's freedom! To supplement the main recording/show here we are provided 4 thoughtfully chosen bonus tracks representing very different tours. The March 2009 Asbury Park seleciton of "Because The Night" leads in with Bruce giving kudos to Jay Weinberg who evidently slayed the drum kit and put the exclamation point on the "Candy's Room" prior to this selection - should have included that too then! Rounding out the disc is a moody but moving solo acoustic performance of "Nebraska" from the Somerville Theater, Massachusetts. 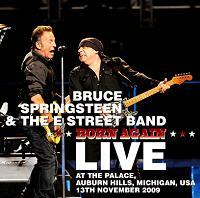 If you're interested in a solid live Springsteen & E Street 2009 document, you will certainly enjoy the material here - after all, it's a professionally recorded and mixed 2009 live run-through of Born To Run. I'm a sideline Springsteen admirer and have only gained appreciation for what the guy has brought to the table here in the last 10 years. 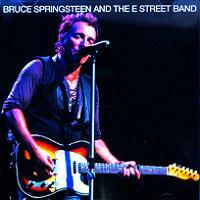 And since I cannot stand any of his studio work, this live rendition of the Born To Run material is an earful of sugar! It works, and works well. The vibe, ambience and musicianship is well captured on "Born Again" and is a recommended title. This one is on my want list. I'm with you SVENGI.. I also prefer the live material. I took a friends suggestion a few years ago and picked up some live Bruce and although he's not my favorite, I very much enjoy listening to his live shows and continue to build my collection. I can't listen to all Zep all the time or could I?